Katto, just make your point - if you have one. What have you taken exception to? And how is it relevant to my reply to Mick? Oh, I'm not suggesting Dravid wasn't a fine batsman - of course he was. I still think he had a weakness against the real quicks, especially when they got the ball to come in sharply. And somehow McGrath seemed to have his number - I don't think Dravid was ever comfortable against him, that Kolkata 180 notwithstanding. As for Dravid-Tendulkar, I think Tendulkar was the better batsman overall, even for Tests. But he was just so much more talented that Dravid! With his lesser talent, Dravid achieved so much! Many people have favourite Dravid innings (his 148 at Headingley, for example, or those Kingston innings) but I will always rate his last series in England in 2011 especially highly. I always rate runs scored in England anyway - and in that series, while Anderson and Broad made a mockery of every other BCCI batsman, including Sehwag, Tendulkar and Laxman, Dravid stood really tall. That series exemplified "the Wall" much like 2002 in England, but in 2002 the other batsmen also made merry - this time Dravid was fighting a lone battle. Having said all these positives for Dravid, I would still rate Border higher. Dravid had the luxury of a Sehwag, Sachin, Ganguly and Laxman. Border had no such luxury. Border had some luxeries. He had been a team small fry with Ian Chappel and Doug Walters. Greg Chappel retires in 1984. Mark Taylor, Dean Jones, Steve Waugh and Boon bat in 1989 Ashes where Deano by now is a leading bat in the world and Steve Waugh begins to "come of age". By 1990/91 Mark Waugh finally gets his chance after being "ready for years". By the time Border retires in 1994, luxuries are so great that Dean Jones and Mathews are dropped for good, Martyn is dropped (unfairly if you ask him for a low chase going awry), Langer has been dropped, and Hayden had lost his battle with Slater for 93 Ashes opener. By now the cricket depth that would later make Australia a colossus rivaling if not surpassing the West Indies at their peak is in near full effect with 94/95 being the year of the famous Aus A addition to the ODI tri - series. The West Indies are battling with a 1 run victory in the 4th test and to win the 5th test to tie the 92/93 series in Australia. Australia was on the incline, and the West Indies were about to brutally decline. Boon was dominant in and by 1987/1988 as a leading player in the world. So focusing between 84 and 87 is where the luxeries were scarce. Even then Wessells plays averaging over 42 till 85 (over 48 under Border). By 86 Jones is scoring big runs in India, and by 1987 Australia gets rid of Richie. And Boon had a good enough 85/86 season with Mathews also fighting for some good scores in 85/86 and 86/87. That said Border steps up in an effort to fill this void in 85, 86 and 87 is completely dominant averaging over 60 each year with a stack of 100's. Australia and their Marsh problems in tests are nothing new. Last edited by Paddles on Sat Oct 28, 2017 9:42 pm, edited 2 times in total. The first tour match starts in a few hours against WA. The games afoot! Boycs wrote: The first tour match starts in a few hours against WA. The games afoot! B, C, D or E? Raja, this is the innings I was talking about early on in Dravids international career. 148 at Wanderers. SA attack had Donald, Pollock, McMillan, Klusener, Cronje and Paul Adams in attack. Moeen and Finn sent for injury scans. It gets worse for England. The tour match sides are chosen after the Shield teams are picked, so they will come from outside the best 72 players in the country. Form and performance in these matches are not a indicater towards Ashes form. All they do is give the Touring side time in the middle, batsman time at the crease and Bowlers overs under their belt. Cook and Root make 0 and 2 and all the nobodies make 80s or 50s! Boycs wrote: Cook and Root make 0 and 2 and all the nobodies make 80s or 50s! 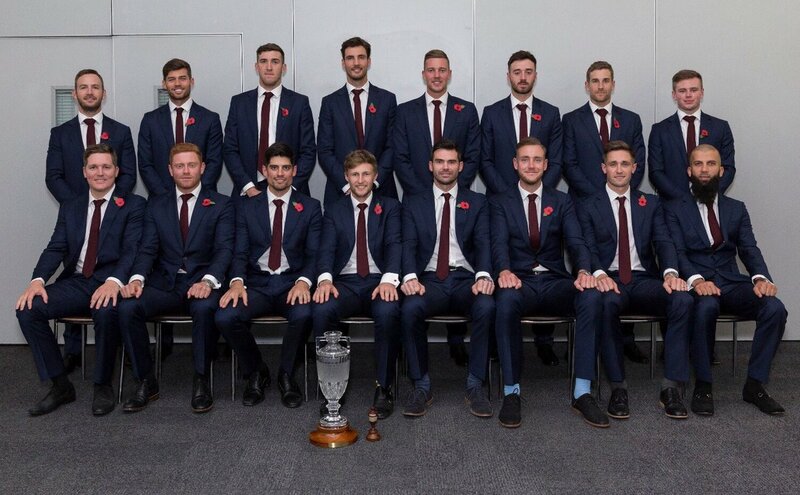 Am I the only one who thinks England will retain the Ashes? Vince was dropped on 47, 63 and 67. Not impressive. Boycs wrote: Vince was dropped on 47, 63 and 67. Not impressive. Did you know that India deliberately gave wickets to Jack Noreiga in the 1971 series against West Indies, so that he'd be retained in the Windies side, and Lance Gibbs wouldn't be picked? I had heard of such a tactic though couldn’t tell you which teams or players it involved. Maybe it’s been done more than once. I dunno raja. Maybe it’s time to look at the England team situation not as a weakness: England are always getting bailed out by their lower middle order, but as a strength: England are always gettijg bailed out by their lower middle order. Haha, this is better than Warne being told not to bowl variations on tour before his first Ashes test in '93. There was so much strategy in tour games in pitch preparation creeping in globally unlike that used for tests and home teams outside internationals where the top players would be unavailable and the bowlers given "don't bowl ya best" instructions that the tour games themselves have massively diminished. Australia is not held in international high esteem for its tour games, team selections or pitch preparations. They like to set up a Gabba ambush year after year. I think its sad in a way cos I liked the best A players trying their best to make the international team with a sterling performance, but on the flip side, should the tourists get thrashed it was a harder sell to promote the international matches after, which happens quite a lot still nevertheless as some players seize their opportunity. That said, it makes beating Australia in Australia more meaningful due to its difficulty factor. Boycs wrote: I dunno raja. Maybe it’s time to look at the England team situation not as a weakness: England are always getting bailed out by their lower middle order, but as a strength: England are always gettijg bailed out by their lower middle order. England has typically since the Botham era always had or sought to have a strong lower middle order, England has made this an obvious focus with Russell's exclusions for Stewart as England sought to beef up batting stocks coupled with a love affair with supposed allrounders. But where at times where Lewis and de Freitis types (there is a seriously long list here of hoping for the next Botham, Greig types or whatever Embury and his various emulators were supposed to be) looked strong on paper but not reality, when England went to number 1, Prior, Swann and pre-Bouncer Broad with Bresnan were scoring some serious runs in the 7 spot and the extended engine room at 8 and 9 and 10. New England hope Broad returns to his pre-bouncer best, but even then Bairstow, Moeen and Woakes at 7 to 9 before Broad at 10 do often make up for the shortcommings up top. But then Bairstow is not exactly the most electrifying with the gloves on, and while he had a great 2017 so far, Moeen is not exactly highly regarded as a tweaker like Swann was. Moeen is probably on course to set a challenge and win for the best #8 test batsman while batting at #8, with obvious contenders for the spot being Jadeja, Ashwin and Vettori. But I think he is the weaker bowler of the lot, so far. Imran is safe in my ATG XI (even if he in reality batted higher than 8 more often). I think it is a strength in England to have a fighting lower order after the top is out to a swinging new ball, on green result wickets where the match is often a shootout, a 50 from a lower order bat can swing a match, as shown in the South African test series this year but unless the batsmen are able to counter the reverse swinging ball and get wickets, it can very easily and swiftly become a total hindrance. Australian tours have by and large dealt with the all-rounders with disdain in the Ashes post Botham in 1986 and until the #1 England side toured, where Cook was just feasting on runs with support from Trott and England looked to up the bowling in place of Bresnan's bat (and replace Broad with a bowler). In a way - strengthening the tail by not simply picking the best 4 bowlers at 8-11 is admitting a weakness in the top and middle order batting. But if there is a weakness, it is foolish pride to not seek to remedy it if a better combo is available. I think it is less of an issue picking the number 8 than it is where teams mull over who to pick at 6, but even then I wouldn't be pleased to see Southee listed at 8 for NZ. Last edited by Paddles on Sun Nov 05, 2017 11:36 pm, edited 2 times in total. None of the English batsman are anything then part time bowlers, not even in the same class as bowlers then Maxwell or Cartwright. I think Eng without Stokes will go Bairstow, Ali & Woakes 6,7 & 8(whatever order) Whats the point of playing Vince or Malan in front of Woakes, their not any better batsman. I think Woakes will be given Stoke's job, don't forget Stoke's replacement is Steve Finn a Tail Ender. Mick180461 wrote: None of the English batsman are anything then part time bowlers, not even in the same class as bowlers then Maxwell or Cartwright. I think Eng without Stokes will go Bairstow, Ali & Woakes 6,7 & 8(whatever order) Whats the point of playing Vince or Malan in front of Woakes, their not any better batsman. I think Woakes will be given Stoke's job, don't forget Stoke's replacement is Steve Finn a Tail Ender. I agree with this subject to Malan's bowling. Which then means that Broad will be batting 9 and the English lower mid is weaker. Overton has been included in part for his batting as EWCB or press have listed him as an all-rounder, but they did the same for Broad too . Overton may play ahead of Finn who may not play on the tour as well as he got injured in training - wait and see. Overton was an initial selection whereas Finn was a replacement. Woakes had just been dropped after returning from injury for TRJ who got injured and is missing the tour. But you're right, Woakes had years previously been competing with Stokes for the 4th bowling seam role. I think England is in all-sorts. They really need their stars to carry the team or find new stars in the current crop. In 2010/11 they had a typical ace team list, and tinkered with it to suit the conditions to get wickets as the top order had runs. In 2016/17, they don't know what their A team is, and the top order looks fragile bar Cook and Root. Last edited by Paddles on Sun Nov 05, 2017 11:58 pm, edited 10 times in total. Guys I'm a very close follower of Australian Cricket and even i have not heard of half the players in that WA side, a select 11 out of Perth Grade Cricket, no better then a weak County 2nd 11. Any runs scored or wkts taken by the English side in this match is meaningless. The best thing they got out of this match is time at the crease, overs under the belt and time in the field under the hot Australian sun. Yeah bit over the top. What did Jimmy do in 10/11? I didn’t think he packs as much of a punch overseas however ATG he is in England. England attack isn’t bad with woakes broad and Jimmy I think woakes is a decent seamer but our part time filler isn’t quite the standard that you need in an Aussie tour. Boycs wrote: Yeah bit over the top. Jimmy did much better in 2010/11 than he did in 06/07 or 2012/13 but there was good cattle around him. Tremlett bowled better. Shame he is an injury magnet. I thought he was going to be a star, but he couldn't stay fit. Bresnan played the last 2 tests with great success. Swann finished the job in Adelaide that Jimmy started and had suffocating economy despite a poor strike rate and average. 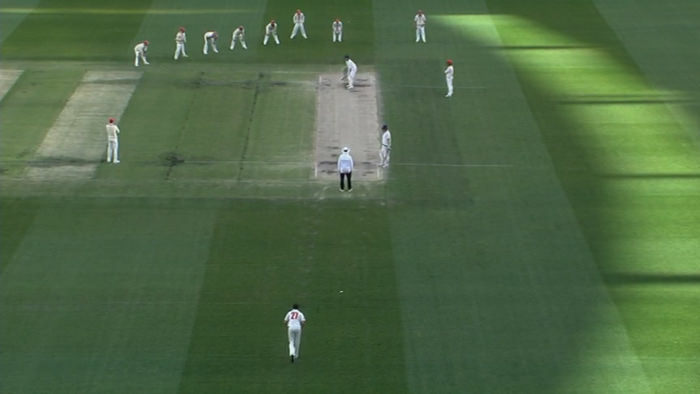 not having watched any of the match at the MCG this week, but having followed the scorecards, it looks like no swing and no movement off the pitch. This needs to be taken into context when considering selections for the Australian team. I still think Finch is a talented player. Maybe he should move to Queensland to develop his game. The MCG road these days seems to encourage false confidence in poor technique. both the SA and Vic teams seem loaded with flat track bullies. Interesting to see who the replacement will be, Finn replaced Stokes, who's fit Boycs? I was shocked to learn that such a thing had happened, let alone that this is something like the 5th or 6th time someone has taken two hat-tricks in a match! How much Cricket do you really watch, Starc bowls around the wicket all the time. The most remarkable thing about these 2 Hatricks is they are the last 3 wkts in both innings. I see England have found yet another South African for their team, Tom Curran son of a Zimbabwe great of the 1980s Kevin. Starc is on fire which is a good thing from the Australian perspective. Another fifty for stoneman in the second warm up and a fifty for root but cook goes cheaply again. Moeen Ali looks like a cross between Zakir Naik and Hashim Amla. Jake Ball is injured now too! Boycs wrote: Jake Ball is injured now too! Tim Paine is katto's pick to keep and bat #7. Khawaja should open with Warner. spot open in the top order and we're no closer to finding a #6. Only three Test so far and managed just 2 wickets but has an FC average of 26.48. First England bowler to takes a five-wicket-haul on ODI debut - admittedly against Bangladesh at Dhaka. Ben Coad has also been catching eyes at Yorkshire, only in his first season but 55 wickets at 22.65 and he ripped through counties with something like consecutive 10-wicket-hauls in the early part of this year. England look like 'walking wounded' even before the battle has begun. Reminds me of Zaheer Khan's injury on the first day of the Gabba test after he had taken a five-fer. India always used to worry with Zaheer whether he would not fall injured during the test. Nehra was another injury candidate. Stoneman has made three consecutive fifties in these warm-up games now. Experienced county pro. Someone somewhere might be making a comparison with David Steele. 2 wickets in 3 tests huh.